A new lipstick can do wonders for your self confidence—it's a great inexpensive pick-me-up. But with new ones launching all the time it can be tough to know which will look great and not come off on your coffee cup at first sip, especially if it's glossy. And, you know what, despite the trend for matte lips we're feeling the love for gloss formulas right now. 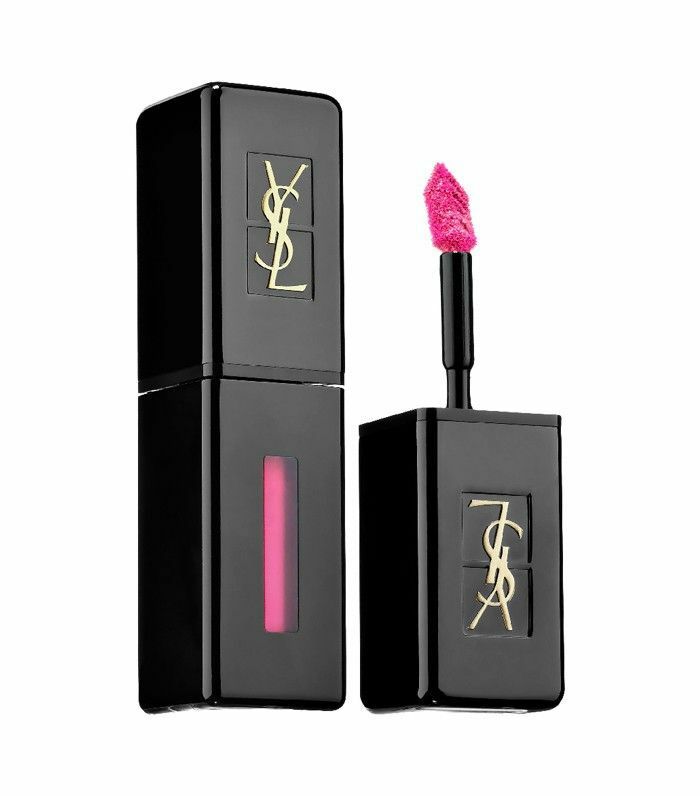 Thankfully, one of our favourite beauty brands YSL has just launched a new high-shine lipstick that is super pigmented and promises to last 10 hours. Even better it's moisturising and comes in an array of 12 shades. It combines the benefits of a long-lasting stain, high-shine gloss and intense lip colour. But does it really do what it says? Well, we put it to the test to find out. Keep scrolling for our verdict and where to shop it. It may look like a gloss but liquid lipsticks are on the rise and that's just what this is, a high-shine buildable lipstick. The diamond-shaped applicator tip can be used to line your lips, before swiping the colour all over with the flat side. Initially it goes on sheer, perfect for a low-key look but if you want to ramp up the density just wait a few moments for it to dry then apply another layer. Dab your lips a little after the first application, then reapply and it will stay put for hours. Unlike a lot of high-shine lipsticks that slip off within the hour, this lasts and lasts without any stickiness. We were a little dubious about its staying power at first (it's just that weightless) but after trialling it on a full Saturday of brunches, lunches, and birthday parties, we can say we're officially converted. Which colour will you be trying? Tell us in the comments!